The sports arena houses a 1/10 mile, three lane walking track as well as two full basketball courts and 4 full volleyball courts. We also have two batting cages available for set up. One has a softball pitching machine and one has a baseball pitching machine. We offer a variety of leagues and multi-use activities. SAFS hours are subject to change. Call 847-746-5501 for daily updates. Children under 8 must be accompanied by an adult. In case of inclement weather, concerts may be moved into the Sports Arena on Thursday evenings. Our child care is run by appointment only. If you would like to use child care in the morning please contact the registration desk at 847-746-5501 by 6:00 pm the evening before. If you would like child care services in the late afternoon or evening please contact the desk by noon. We would be happy to arrange daily or weekly care during your workouts. Talk with a supervisor about setting up a schedule. The Fitness Studio is equipped with a large selection of cardio, plated machines, and free weight equipment. There are mirrored walls and ﬂooring to handle the load. The plated machines offer multi-joint and multiplane movements. Weight stacks are located for optimal access while in the exercise position. Clearly visible and easy to read instructions make the area approachable for any level user from novice to advanced. Cardio options include Star Trac treadmills, recumbent and upright bikes, Cybex ARC trainer and Octane LateralX elliptical. The newest addition is the First Degree Fitness Fluid Water Rowing Machine. It’s the closest thing to actual on-water rowing available and you will love it!. Must be 16 or older to enter Fitness Studio. Fitness Studio & Sports Arena usage including all amenities. Locker use and full locker room access available. Watch for monthly specials during the year that often provide discounted membership fees for a specified period of time. Includes Sports Arena entry when available and all of the amenities of the fitness studio including locker use and full locker room access. classes for a month. (Excludes Zumba & Boot Camp). Includes unlimited Fitness Studio and Sports Arena access and fitness classes for a month. (Excludes Zumba). 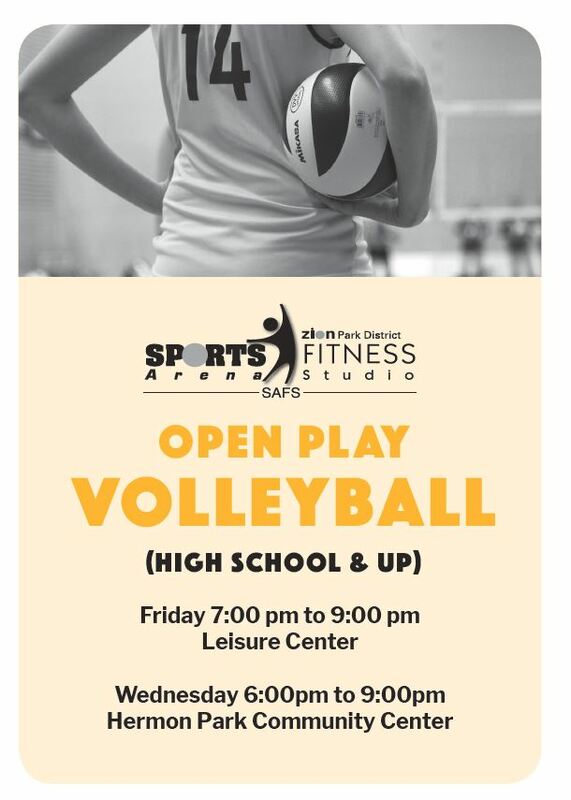 Includes use of all amenities in the sports arena including open play basketball, volleyball, pickleball and walking/running track and open batting cages times. All patrons are required to show identification to enter the facility for every visit. All patrons are required to show identification to enter the facility for every visit. Your Punch Pass may be purchased at the Main Office or the Sports Arena Fitness Studio desk, located in the lower lobby of the Leisure Center. The Punch Pass will be valid for 30 days from the date of purchase. 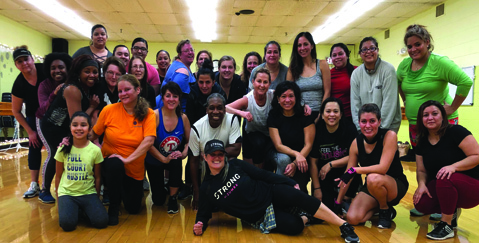 YogaFit style focuses on safety, accessibility and “yoga for everybody.” YogaFit blends balance, strength, flexibility, and power in a fitness format. YogaFit is a practical, user-friendly style, which is doable by individuals of any fitness level. High Intensity Interval Training involves performing intervals of high-intensity exercise followed by low intensity or rest. This format is designed to burn fat during class and after the workout is over, increasing resting metabolism. This workout is challenging for regular exercisers and is a great way for beginners to see results fast. This workout will help improve your cardiovascular health and increase your musculoskeletal fitness. Take the best of circuit training and combine it with Tabata cardio segments and you get Circ-ata! Circuit training is designed to increase muscular strength and endurance by performing a series of exercises using various pieces of equipment like gliding disks and dumbbells. Tabata is high intensity cardio work for 20 seconds with 10 seconds of rest for several rounds. You will also work your core stabilizers for a complete workout. You will torch major calories and fat while tightening and toning your muscles with this low impact, total body, easy to follow workout. All fitness levels will be motivated and challenged. Have fun and feel great using a variety of equipment such as free weights, medicine and stability balls, and resistance bands. This low impact workout is designed to be less stressful on your joints while still providing a high calorie torch and muscle tightening experience. This is an all-levels class which is sure to please. Combining the best of various exercise methods, this class will keep your muscles “confused” and your cardio system challenged. How it works: We take the “work” out of workout, by mixing low-intensity and high intensity moves for an interval-style, calorie-burning dance fitness party. Once the Latin AND World rhythms take over, you’ll see why Zumba® Fitness classes are often called exercise in disguise. Super effective? Check. Super fun? Check and check. Benefits: A total workout, combining all elements of fitness-cardio, muscle conditioning, balance and flexibility boosted energy and a serious dose of awesome each time you leave class. One-on-one personal training involves one or more regular training sessions designed to help you achieve your ﬁtness goals. Your certiﬁed personal trainer will work with you and your schedule to develop a personalized ﬁtness program. Whether you are just beginning your ﬁtness plan, need help reﬁning your workouts or want to push your boundaries, personal training is for everyone. A well-balanced ﬁtness plan is crucial to healthy and safe workouts. Our personal trainers can help you reach your goals in the most effective and beneﬁcial way for your speciﬁc needs. 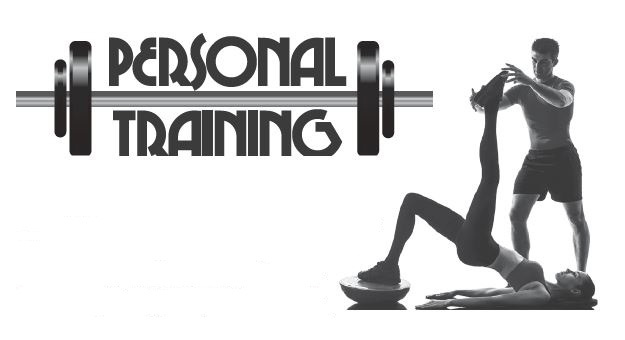 Personal training is offered in one-on-one, partner, or small group training sessions. *Each member pays the session rate. It is not split in half. Member must bring partner with them.